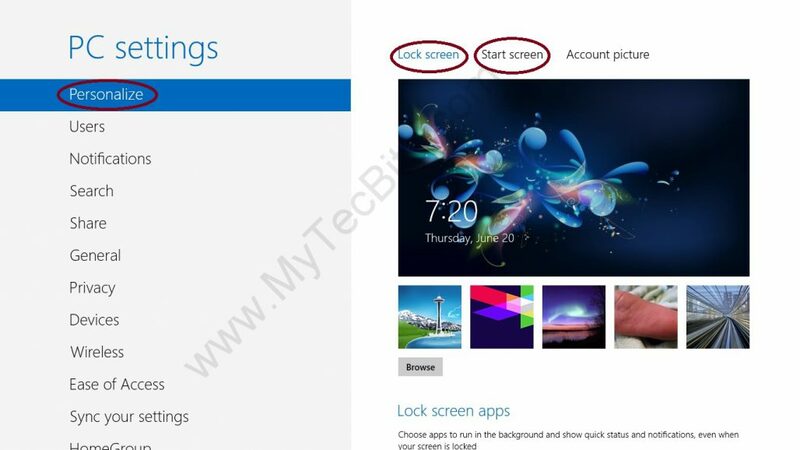 Changing lock screen and start screen pictures in Windows 8 is very easy. Follow the below steps to do it. Tap the Settings Icon either by swiping from right edge of the touch screen or by moving the mouse pointer to the lower right corner of the screen. 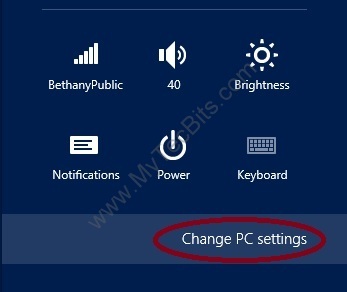 In the Settings Screen click or tap Change PC Settings. By default Personalize section will be on the top and open at the left along with Lock Screen options at the right. From the Lock Screen options, you can either select one of the five pictures which is already displayed. 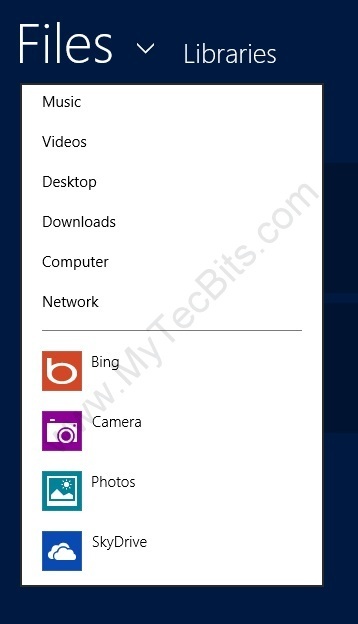 Or you can browse from the computer or from web using Bing. To brows a picture from the computer click or tap the Browse button seen below the five pictures. The brows window will show different options to select a picture. The top part of the brows screen displays the options to select pictures from the local workstation of from a network computer. The lower part of the brows screen displays the option to select the picture from the apps like Bing, Camera, Photos, SkyDrice, etc.. If you want to search and select a picture through Bing, then click or tab the Bing icon. The Bing app will open. You can search and select a picture for your Lock Screen. Follow the steps 1 to 4 from the Changing Lock Screen Picture Section above. Select The Start Screen section form the Personalize section. In the Start Screen section there will be 20 pictures and 25 color themes. 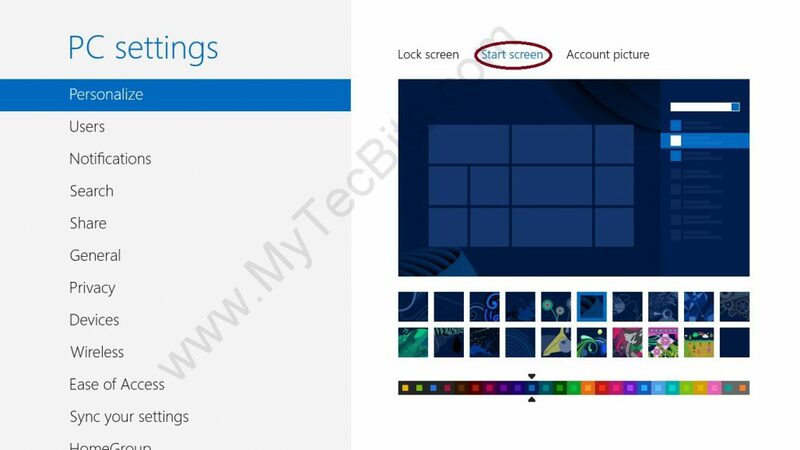 You can have your personalized start screen by mixing and marching a picture and a color theme. Currently there is no option to select a picture from the local disk or apps.